Ruffled blue. Yellow blaze on falls. Missouri Rivers-O. 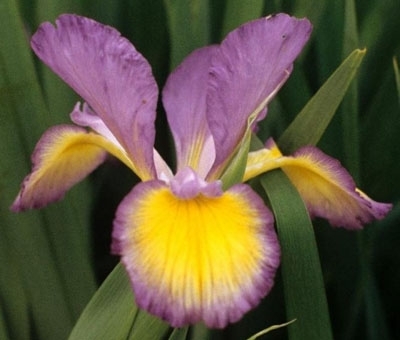 D. Niswonger-90-spuria Iris-38 Inches Tall-Medium bloom season-Ruffled blue with large signal yellow blazes on falls. HM AM Nies Medal.